Cody knows cyber security. As CSID’s Director of Marketing she has a keen understanding of what is going on both in the news and behind the scenes with the latest breaches, security threats and identity theft scams. Cody writes about the latest industry news, breaches, identity theft trends and often shares helpful security tips for both businesses and consumers. In the wake of the San Bernardino tragedy, the Federal Bureau of Investigation (FBI) seized an iPhone that was used by one of the shooters. Recently, the FBI obtained a court order from a California district court, requesting Apple’s assistance in cracking the phone’s passcode. This has sparked an interesting debate around encryption, the outcome of which will ultimately have an impact us all. The FBI is asking Apple to build a new, custom version of its iOS to help unlock the phone. Later versions of the iPhone have a special security protection that cannot be manipulated by customizing the iOS, an iPhone 5c—and all models prior—can be. If Apple were to move forward with creating the software, the FBI could bypass security measures to crack the passcode, including erasing a key to decrypt data after 10 incorrect passcode guesses and removing the timed delay after incorrect password guesses. In response, Apple has written an open letter opposing the court order, saying it’s a threat to data security for all of its users, not just for this phone in particular. The company equates what they’re being asked to do with creating “a master key, capable of opening hundreds of millions of locks.” Once the information on how to bypass security controls is known, a hacker that obtains that knowledge can combat encryption. This “backdoor” could be dangerous if it falls into the wrong hands. Of course, this raises an interesting question. Is asking Apple to essentially create malware that could harm its older devices an “undue burden”? Think of all the things you use technology for: shopping, banking, travel, staying in touch with friends and family. It’s an incredible convenience, and while there are inevitable risks, is this asking too much of Apple? One of their top priorities is ensuring their customers are treated fairly and their data is kept secure. On the surface, what the FBI is requesting makes sense–for Apple to help crack the phone of a terrorist. But if this request is granted, it creates a precedent for similar requests in the future, requests that could have an impact not just on older iPhones, but on Android devices, computers, and pretty much any piece of technology. This discussion is a reminder of how important cybersecurity awareness is, and why we should all be taking action to keep our personal information secure. Even simple steps, like enabling biometric authentication whenever possible, utilizing unique passwords for online accounts, and monitoring personal information, banking or credit card accounts for any potential fraudulent activity, will go a long way in keeping data secure. Consumers need to do everything they can to be aware of emerging cybersecurity threats, as poor cybersecurity practices in one situation can impact everyone. By arming themselves with awareness around the risks that are out there, consumers will be better prepared for inevitable threats on the horizon. In the meantime, we’ll be keeping a close eye on developments around this news. Do you have an opinion? We’d love to hear from you–connect with us on Facebook, Twitter or LinkedIn. At CSID, we strongly believe there’s a direct correlation between our company’s success and the happiness and well-being of our employees. That’s why we’ve worked tirelessly to create a company culture that includes a suite of competitive benefits to improve the quality of life for our growing team. Today, we’re thrilled to announce our new parental leave policy for 2016 for our male and female employees that includes 12 weeks of 100% paid time off (PTO) with the flexibility to distribute this leave over a six-month time period. We’ve developed this policy to reflect the evolving modern landscape of parenting, with the hope that it will allow new parents to spend more time at home with their new addition to the family. A comprehensive list of benefits can be found on our website. 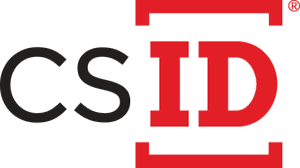 Interested in learning more about what it’s like to work at CSID? Hear what our employees had to say and view current openings here and be sure to follow us on Facebook, Twitter and LinkedIn and along with our hashtag #LifeAtCSID for more company updates. IoT Buzz at CES: Will Security Make it Through the Noise? Hundreds of thousands of tech enthusiasts and innovators from around the world make their annual pilgrimage to Las Vegas for the Consumer Electronics Show (CES) this week. The technology conference and trade show, whose attendees last year represented 82 percent of Fortune 100 companies, features some of the most exciting and newest technologies, encompassing everything from the latest developments in wearables, to connected cars, to robotics. Major global companies like Ericsson, NETGEAR, Cisco and others have already unveiled either new products or programs specifically for IoT devices aimed to enhance the connected home. If you’ve been following along with us, you know that we’ve already discussed security vulnerabilities and concerns around the IoT on the blog – including it as one of our key 2016 trends and diving into the topic in our fourth episode of Firewall chats with CSID Chief Innovation Officer, Adam Tyler. There’s no doubt that though these connected devices may bring more efficiency and convenience to our everyday lives (and, there is of course, the “cool factor” – who doesn’t want a fresh pot of coffee ready for them before waking up?) we must understand what we may be sacrificing from a security perspective. As the IoT is still relatively new, many developers are prioritizing functionality before security. With IoT devices, there is a level of uncertainty with network accessibility, as with anything connected to the Internet. Even when considering seemingly innocuous connected devices (like a connected refrigerator or coffee maker), there may be network vulnerabilities that allow a hacker to access the owner’s more sensitive information, like their email or bank account. ZDNet reported that while concerns around privacy and security within the IoT may be on the rise, it still may be an “afterthought” for consumers this year at CES. Companies that have already very publicly expressed their investment in IoT security include Panasonic, Samsung, and Dojo-Labs, which, while a step in the right direction, is feared by some industry experts to possibly be too late, as the number of connected devices is expected to grow to more than six billion by next year, according to Gartner. Will 2016 be the year that security comes into focus as IoT becomes the dominant topic of conversation at CES, or will it continue to take a back seat? And are companies acting quickly enough as our connected world rapidly grows? We’d love to hear what you think. Weigh in with us on Facebook, Twitter or LinkedIn. News surfaced late last week that Tashfeen Malik, the female shooter in the San Bernardino attack, pledged support to ISIS on her Facebook page the day before the attacks and had talked openly on social media about her support for violent jihad prior to passing background checks for her K-1 fiancee visa. The Department of Homeland Security (DHS) missed this because it is currently prohibited from screening applicants’ social media messages for immigration eligibility. This ignited a debate that has been playing out in the media, the House floor, and on the political stage. To summarize, Democrats and Republicans alike said DHS needs to start screening social media before it approves visas. Hillary Clinton, among others, called for tech companies to work with authorities to combat terrorist messages online. Whether or not the government should screen applicants social media accounts, it absolutely could accomplish this type of screening quite easily with social media monitoring tools that companies and individuals use all the time for marketing and business intelligence, reputation and online identity management. CSID’s Social Media Monitoring tool is designed to alert subscribers of instances where they are sharing personal information via social that may put them at risk of identity theft, as well as information found within their social networks that might damage their reputations. It is not hard to imagine how this same type of keyword monitoring and alert functionality could be used to aid in the screening of visa candidates. As always, let us know what you think on Facebook, Twitter and LinkedIn. In the spring of 2015, we joined 50,000 of our closest friends for South by Southwest, speaking on four panels on topics ranging from recruiting in a crowded infosec marketplace to a demo showing just how easily a small business can be hacked. We also participated in the annual ID360 Conference from the UT Center for Identity with sessions on medical identity theft and securing digital wallets in the age of mobile payments. Our Chief Innovation Officer, Adam Tyler, was kept busy this year, traveling around the world and speaking at many top security conferences including the (ISC)2 and ASIS conferences in Anaheim, Calif. and the Mastercard Global Risk Management conferences in both Key Biscayne, Fla. and Berlin, Germany. CSID’s Joel Lang participated in the Austin InnoTech Conference serving as the moderator for the Incident Response panel and delivered a solo session at the Texas Department of Insurance Fraud Conference. In August, our CFO, Amanda Nevins, was named an Austin Business Journal “Profiles in Power” winner. 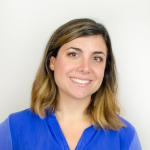 Amanda has been with CSID for four years and during that time she has had a huge influence on the company’s business and employees. Get to know Amanda in this great video interview. Later that month, CSID was recognized as one of Austin’s fastest growing companies in the Austin Business Journal’s annual Fast 50 Competition. We were also awarded with the The Higginbotham Health & Wellness Award by the Austin Chamber of Commerce, which recognized our executive staff for actively encouraging our employees to engage in healthy and well-balanced lifestyles. We launched the first episode of Firewall Chats in October. Firewall Chats is our new podcast series diving into all things cybersecurity. In season one’s five episodes, we explore topics like social media, steps for consumers to take control of their privacy, the ever-evolving Internet of Things and the newest ransomware and malware attacks. Our final episode airs next week.Take a listen at www.csid.com/firewallchats. In November, we announced the launch of our Social Media Monitoring service to alert consumers to privacy and reputational risks across Facebook, Twitter, LinkedIn and Instagram. In August, we also announced CSID’s Financial Account Takeover monitoring. Financial Account Takeover notifies you if your Social Security number and personal information have been used to open a new bank account; or if changes have been made to an existing bank account, including changes to account contact information or attempts to add new account holder. The service also notifies you if your Social Security number and personal information have been used to apply or open a new credit card, checking or savings account. Throughout the year, we served as a resource and shared our perspective with media on consumer security, data breach response, and other topics. Below are a few highlights from the year, but you can check out our full news coverage on our website. Thanks for following along with us this year. We hope you’ll continue to stay up to date on CSID news in 2016 by following us on Facebook, Twitter and LinkedIn. It’s something you may not think about very often—your child’s personally identifiable information being used for identity theft. Most children’s Social Security number (SSN) and personal information remain unused until they turn 18, leaving years for identity thieves to cause serious damage. It’s common for parents to use a child’s SSN for routine activities, like registering for school or in doctor’s offices. However, many parents don’t think about checking if their child has a line of credit associated with their SSN. The reality is that youths under the age of 18 are a staggering 51 times more likely to have their identities stolen than adults. Victims of child identity theft face many difficulties as a result, like complications applying for college, opening savings accounts, or obtaining credit cards. Fortunately, there are a number of precautions to help protect both you and your children from identity theft. Kids are tethered to the Internet through games, apps, and devices. This increases their risk of sharing sensitive information. Take the time to teach your children the the do’s and don’ts of being online. Check out our guest blog post from Anne Livingston on tips to prevent child identity theft, and the 5 pieces of information kids should not share online. Creating and maintaining this conversation will ideally open up a dialogue and allow your children to feel comfortable talking to you about other online topics, like the latest viral video or more serious issues like cyberbullying. The Federal Trade Commission recommends proactively checking a youth’s credit report around their 16th birthday. Should a credit report with fraudulent charges exist, you’ll have time to correct any errors well before your child needs to rent an apartment or apply for a job or loan. Take advantage of an identity monitoring service that includes Child Protection. These services monitor your child’s SSN and personal information, and alert you to any suspicious activity. Don’t stop there! 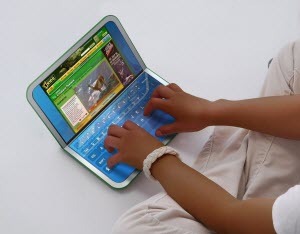 Familiarize yourself with your children’s gadgets. Computers, tablets, gaming consoles, and other handheld devices can all collect personal information. A hot new game or app may be revealing more of your child’s personal information than you’d like. Ask questions anytime your child’s personal information is requested: what will it be used for, why is it needed and how will it be guarded? For instance, few organizations such as motor vehicle, tax and welfare departments have the right to require your SSN. Be cautious before giving out your child’s personal information, and your own. By following these simple tips, you can play an active role in ensuring the security of your child’s identity. Stay tuned for more security tips and the latest in industry news by following us on Facebook, LinkedIn and Twitter. Each day our lives become increasingly connected to our friends and family around the world thanks in large part to social media. As of September, Facebook now boasts 1.55 billion monthly active users across the globe. Instagram has more than 400 million monthly users. Our favorite 140-character site has just over 320 million monthly tweeters. Billions of people create an almost unfathomable amount of data. By 2020, social data is expected to reach 44 zetabytes (or 44 trillion GB’s), according to industry research firm IDC. With every post, check-in, like, swipe, and favorite, we are sharing our most precious information with the world. While many posts are harmless, individuals need to be aware of the types of things they are sharing on social media. We recently tackled this topic on our first episode of Firewall Chats, titled “Social Media Matters.” Credit cards and Social Security numbers aren’t the only pieces of information that can lead to identity theft and fraud. Social media oversharing can have lasting consequences. Inspired by the world’s social tendencies and our commitment to protecting consumers, CSID is proud to debut a new service to assist social media users. Our Social Media Monitoring service alerts users to privacy and reputational risks on the most widely-used platforms: Facebook, Twitter, LinkedIn, and Instagram. Cyber criminals can easily access sensitive information on social media. Even seemingly innocuous information found on social networking sites, like mother’s maiden name and high school mascot, can be useful to fraudsters to gain access into your accounts. Just think, are these pieces of information used as your password reset questions? You may want to think twice next time you share this information on social media. That’s where our Social Media Monitoring services comes in. This service alerts a user when they are sharing personal information on their social networks, whether it be in their profile info, comments, status updates, or wall posts. Perhaps even more than our assets, social media poses a great threat to our reputations. Careless posts and comments have resulted in lost jobs, relationships, and opportunities. After all, 91 percent of hiring managers screen job applicants’ social networking profiles during the hiring process. In addition to flagging privacy risks, Social Media Monitoring alerts users when their reputation may be at stake, identifying social media content containing foul language, sexual content, or drug and alcohol references. To learn more about our Social Media Monitoring service and how to safeguard your consumers’ online privacy and reputation, please visit www.csid.com/socialmonitoring.